Following a successful amalgamation and re-launch in 2010, Carl F Groupco reports that specialist products are playing a key role supporting its growth. Sitting alongside staple lines, specialised fittings support the company’s ability to provide tailored hardware solutions and an added value advantage. 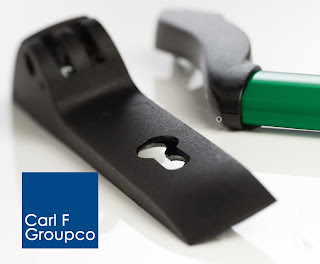 Statistics from 2013 show an upward trend in Carl F Groupco sales for FUHR’s CE marked 870/871 emergency and panic multipoint door locks, with some lines increasing in sales by up to 90%. FUHR stable door hardware has also proved popular with sales up by 66% during 2013. “Carl F Groupco provides a comprehensive portfolio which enables us to offer hardware solutions which cater specifically for individual needs. Specialist products are part of our one stop shop service which is designed to take the pain out of hardware purchasing. As an independent distributor, Carl F Groupco provides one of the largest hardware product portfolios in the UK featuring own brand lines and ranges from leading partner manufacturers.